Last month, a trend began to develop among VW owners involved in the “Dieselgate” buyback program. 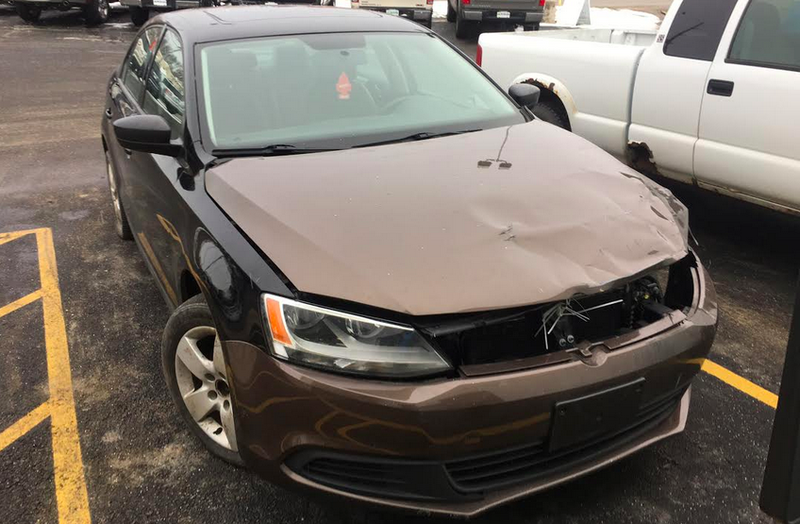 Rather than simply returning the vehicles for the lump sum payment they were due, some of the more disgruntled former VW customers decided to strip their vehicles of many of their resellable bits in an effort to make some extra bucks, cause an additional headache for VW, or both. Some of them got lucky, while others found that VW was refusing to take their parted-out cars, but as Jalopnik reports, that isn’t stopping other VW owners from trying their luck with some buyback shenanigans of their own. 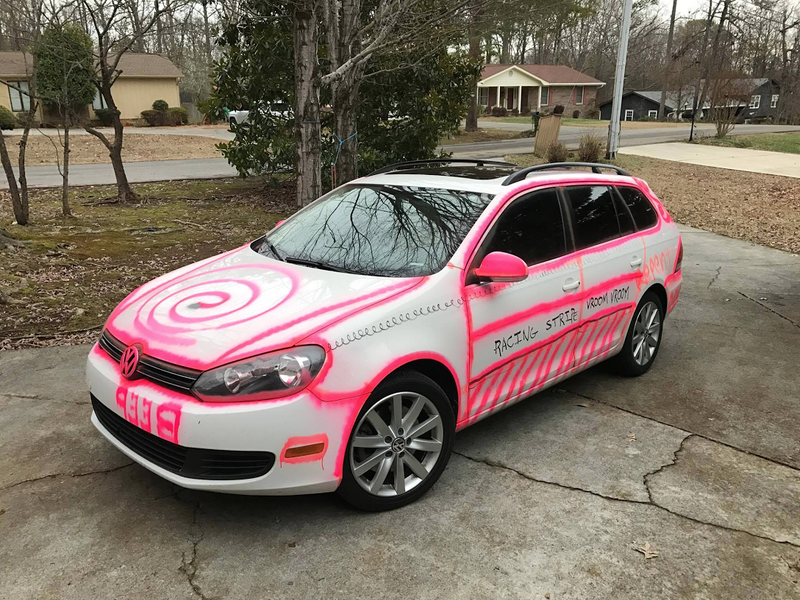 Some of the more interesting examples include this VW Jetta wagon which has gotten a, well, interesting paintjob in the spirit of Dieselgate. The owner reportedly gave the car its bold makeover because he figured it was going to end up in the junk pile anyway, and because his young daughters thought it was funny. Unfortunately, the VW buyback associate at his local dealer wasn’t too keen on the alterations and claimed that it was essentially vandalism. He took that judgement to a Dieselgate lawyer who at first disagreed with VW, but later relented and said it likely wouldn’t be an acceptable trade-in. The owner is still waiting for the final ruling. Another fine example is this post-apocalyptic Jetta sedan, which has had its hood, front bumper, and interior swapped with a different, totally trashed VW. Even the wheels and flat tires were sourced from another car, allowing the owner to fix up a different Jetta which he intends to sell. In this case, VW bought the trade-in without question and he owner received his settlement payment shortly thereafter, proving that there’s still quite a bit of wiggle room for Dieselgate owners to wreak havoc on their cars before handing them in.